We have had to say a lot of goodbyes in the last 6 weeks. More goodbyes then I care to make again. HARD goodbyes. And we knew that by coming to Cebu and working with children at an orphanage where the whole point is finding homes for the orphaned and abandoned children, there would be more goodbyes. Happy goodbyes, but still goodbyes. 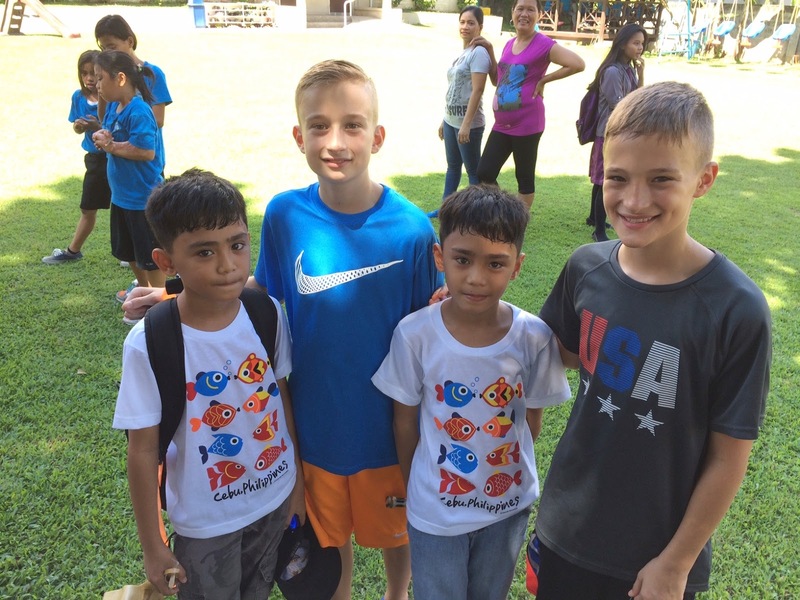 The whole point in being here is helping these children get ready for their adoptive families. We pray, we pray a lot, for families that will open their hearts and homes to these children and that they would take the chance to fall in love and bring an orphan into their homes. That means children leaving CSC and going to their adoptive families, and us saying goodbye once again. Just because its a happy goodbye doesn't make the goodbyes on this end any easier. We were able to witness our first adoptive family come and pick up their children last week. It was a mom and dad, farmers from Utah, adopting a sibling group of 5. This particular sibling group has a set of twin boys that are 9 years old. Ironically these boys were the first ones to capture the hearts of our boys. They were the first names we heard when we asked if they met any friends the first time we went up to the shelter and if they knew what their names were. These boys played with Isaac and Carter for weeks. We (Jake and I) knew when we got here that these siblings were already adopted and that they would be leaving soon. What we weren't ready for was the emotion that goes into a sibling group like that leaving. Over the short weeks that we have been here we have been able to get to know this sibling group (as well as the other children here). The 2 teenage girls in this family loved on Mady like she was their own baby sister. The middle boy although extremely quiet has a wonderful sense of humor and I would see him smirking at the funny stuff going on around him. He has a smile that would melt anyones heart. The twins, well lets just say I wish I had a quarter of their energy. They are funny funny boys and it was their favorite thing to do anything that would make someone laugh, even at the expense of not listening to instructions (sound like anyone else you know? Ahem, Carter :) ) We are so happy for these kiddos to have found a family and we are so excited for this mom and dad to have found this group of siblings. Jake and I had the opportunity to spend quiet a bit of time with mom and dad. They are the sweetest people. So kind and compassionate and they had a love for Jesus that we could see. She is a homeschooling mom (they have 3 other adopted children at home that are older) so we talked a lot about what has worked for her over the years, and she was a huge encouragement to me in my homeschooling adventure. The dad reminded me of my own farmer dad. We had a lot in common because of the farm aspect. Jake and him were able to share some funny farm stories as well. We were sad to see them all leave. It was especially heart breaking watching these kids say goodbye to their friends, our kids included. Please, can you join me in praying for this family? As with any change and especially in the adoption process, the "honey moon" stage will wear off. With the love and happy times, comes the stress and unhappy and hard times as well. Pray God will give them patience with each other and comfort especially to the children as they have left the Philippines and everything they have ever known and are now living in a strange place very different from where they come from (I know that feeling and it is not easy, trust me). Pray that they will be comforted by our heavenly father as they get to know one another as a family. And maybe someday when we are back in the states, we will make our way out west to visit a happy family on their farm in Utah. Our school books arrived!! I cannot remember a time where all 5 of us were more excited about school starting. We have been here for 4 weeks this week and were getting a little antsy to get started on school. As you know, I am homeschooling this year and we shipped our books here in July. I'll be honest, I was starting to wonder if the books would really arrive or if they were lost in the Pacific somewhere. The children and I were diligent about praying for our box to arrive every single morning for the last few weeks and on Sunday October 3rd they finally arrived. I seriously thought Jesus himself delivered them :) I didn't know that it is not uncommon here for packages to get delivered on Sundays. I am still going with the theory that Jesus himself delivered them though! Not school related but a real life stuff-- With most things, change is hard. Here it is no exception. We see it mostly with Mady. She is missing her friends back home a lot and is having a little more of a difficult time getting too far away from me. I think she is uncomfortable because of all of the attention she gets and the lack of being able to communicate verbally. She doesn't want to tell someone she doesn't understand with the thick accent. My first mission here is to be supportive of my husband and children. Once everyone is feeling comfortable, I am excited to see where I fit in in a volunteer role at the shelter as well. That may take some time yet, we shall see. Jake is loving what he is doing here. He sees purpose and feels like he can and is adding value to this beautiful organization. 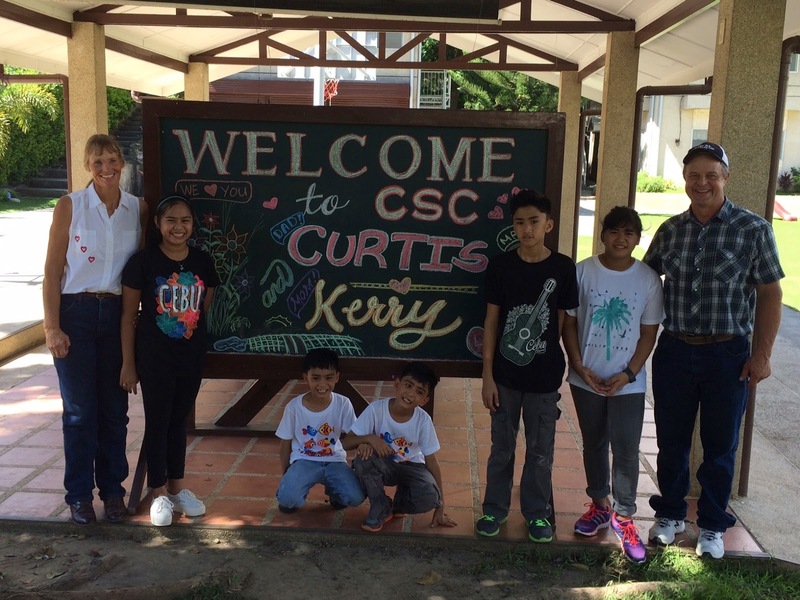 He is in full swing with his duties and loves learning more and more about CSC and the Philippines everyday. Patience with school for all of us. Continued transition- Mady is still sticking pretty close to me. I am hoping that she will be brave enough to venture a little way and make some friends. The language barrier is harder for her to overcome then it is for the boys. I know this will come with time for her too. 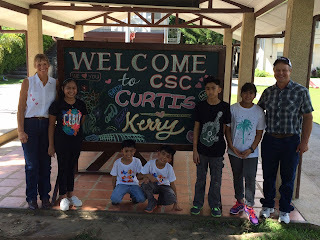 Jake as he continues to add value at CSC in the office and as a whole family as we continue to minister to the "fatherless" here in Cebu. (when I find the words I will talk about what we see just outside our comfortable gated community, the homeless crisis is real). Adoptive Families- Past, Present, and Future.